Science has discovered that estrogens appear to prolong the anagen (growth) cycle of the hair follicle. And red clover extract can act like estrogen, science has found. 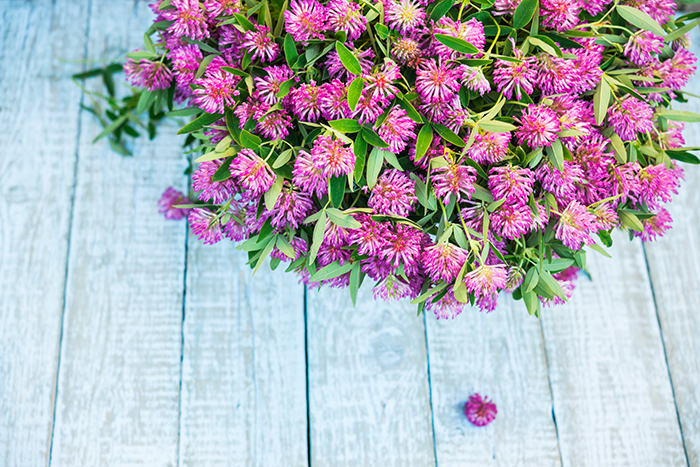 Couple that with red clover extract’s naturally protective antioxidants and anti-inflammatory properties and you can see why this extract may be an asset in your hair care arsenal. Red clover (Trifolium pratense) is a perennial herb that commonly grows in meadows throughout Asia and Europe. It is broadly distributed throughout the United States, where it is also known as a cow clover meadow clover, purple clover, and trefoil. The flower tops of this plant are used to make medicine and those red and purple fragrant blossoms are dried and used for other purposes. According to the University of Maryland Medical Center, red clover has been used medicinally for whooping cough, respiratory problems, and skin inflammations. This herb is widely used by some women for premenstrual syndrome and menopausal symptoms such as hot flashes, breast tenderness, or pain. This herb is a source of several nutrients including calcium, chromium, magnesium niacin, phosphorus, potassium, thiamine, and vitamin C. Despite that impressive list of nutrients, the real favorite from this plant would be the rich source of isoflavones, which are water-soluble chemicals that act like estrogens. This is the main reason some women have been encouraged and use it in hormone replacement therapy. 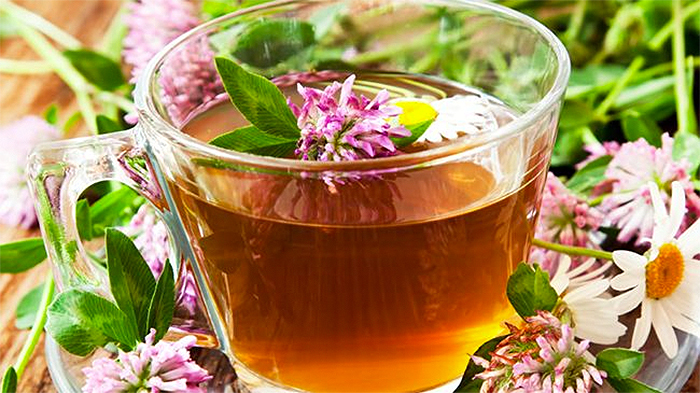 Have you tried red clover for your hair or for menopause? Share your experiences in the comments section below.